Artists often work with scientists to help them make their art ‘right’. Scientists often work with artists on engagement. But what if our work was initiated by both scientists and artists, working together, to make something truly new? And what if that work was made by, for and with the community, right from the start? Fun Palaces believes in everyone an artist and everyone a scientist. We believe that culture – arts and sciences – should include everyone, not just as audience but as makers, as participants. Our campaign for culture at the heart of community aims to bring arts and sciences together – not just to support each other, but to actively innovate. By genuinely allowing everyone to define and create culture, and by working together, we open the possibility of creating great things. 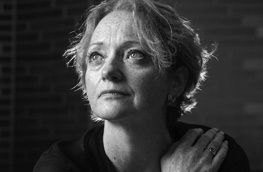 Stella Duffy is a writer and theatre-maker. She is co-director and founder of Fun Palaces, a locally-led campaign for community, enabling greater access for all to arts and sciences, with an annual event every October.